Grew Up… but he doesn’t remember. He has no memory of his past and identity before life as an experimental subject at Larkhill Resettlement Camp. Living… in a dystopian London in the near future. He hides in an underground chamber where the secret police known as the Fingermen will never find him. He has all the necessary comforts, as well as an impressive collection of paraphernalia lifted from the vaults of the Ministry of Objectional Materials. Profession… freedom fighter and vigilante. 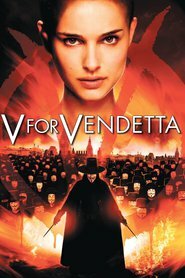 V is a masked man whose only job is to take down the oppressive government. Interests… music, art – V’s home is something of a museum. His favorite movie is “The Count of Monte Cristo”. Relationship Status… it’s complicated. He’s single and seems too busy to have time for love, but there’s definitely something going on between himself and his protégé, Evey. He hopes to train her to become a fellow revolutionary, but there’s chemistry between them that goes beyond that. Challenge… starting a revolution. V wants to overthrow the government to create a better future, but he understands that the act would be useless if the people don’t stand up and fight for themselves. Thus he sets a goal for himself: when he blows up the Houses of Parliament next year, the citizens will meet him there. Now he just has to convince them he’s in the right. Personality… charismatic, intelligent, hopeful, and dedicated. Spouting lofty ideals, V arrives with a bang and rallies a huge group of supporters with his complicated and eloquent speeches. His personal motto is “By the power of truth, I, while living, have conquered the universe.” He commits himself completely to his cause, in hopes he becomes more of an idea than an actual person. V's popularity ranking on CharacTour is #320 out of 5,000+ characters. See our top-ranked characters and read their profiles.